"I have 85 players." "My budget is $90 per player" "Where can I get logoed shirts and hats?" "Who offers automated scoring?" "I need hole-in-one insurance." "How close is that golf course to my office in Wilmington?" "I need trophies and prizes." "Can I get lunch for each player?" "Who will cater my Orlando event?" "Which golf courses are within 20 miles of my house?" "Hook me up with logoed bags!" "How do I raise lots of money?" "Help me get my Atlanta event organized!" "How do I find players?" "Does that club sell memberships?" "Should I do an auction?" "My budget is $110 per player" "What is the best tee gift? "Who does crystal trophies?" "Who designed the golf course?" "What food and beverage is offered?" "Is there a PGA pro at the golf course?" "What format should we play?" "How can I maximize donations?" "Can that golf course do 70 players?" "Where can I get logoed balls?" "Can I get gift certificates?" "How many events per year do they do?" "Is staff well trained?" Type a zip code or city name below, and we'll send your request to the best golf courses in your area. of 16 - 200 golfers? We know all of the key contacts at dozens of golf courses. We can save you time and money. Submit a request for proposal now or just browse golf courses and submit your request later. To browse, click on a state or type in the box above. We'll provide you with the most comprehensive golf course information ever compiled. We've gathered information on over 13,000 golf courses. It appears you are using an older browser. Our site looks and works much better in newer browsers. Please upgrade soon. Here are some links that you and your golfers might find useful leading up to your upcoming golf tournament. Instructional videos, golf news and more. Submit your tournament request, and we'll send it to all the best golf courses. Plus, we'll send you a valuable guide produced by Golf Tournament Association of America! 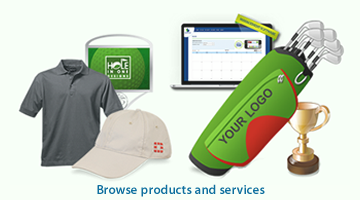 Logoed apparel, prizes, awards, or even software to run your event. Check out our outing products and services directory! Are you looking to host a golf tournament and need somewhere to begin your tournament planning journey? Are you looking for the greenest, smoothest fairways in your area? The nicest clubhouse? The fastest greens? The best professional staff that helps you with fundraising? Need related services and products? Then you’re in the right place! Welcome to BestOutings.com, your home for all your golf tournament needs! Offering the web’s most extensive list of golf courses, clubs, country clubs, and more, we’ll help make the planning of your next golf tournament easier than ever before! Trust us; no matter if you’re in Arizona or New York, California or Arkansas, or Missouri or Washington, we have what you need. Just point, click, golf, and see what we here at BestOutings.com offer to make your next golf outing a memorable one! Golf Tournament Planning Guides: Learn the ins and outs of planning your next golf tournament from the experts who have done it all before! For charity or corporate golf tournaments, our planning guide will help ensure that your next tournament is a success. Golf Course Marketing: If you are a golf course owner or tournament sales professional, widen your event or golf course’s marketing horizons by making sure your BestOutings listing is accurate and up-to-date. Just visit our golf course login to get your free account, and we’ll promote your golf course to thousands of golf event planners. Easy Tournament Scheduling: The hardest part of planning any golf tournament is finding the perfect golf course… a nice golf course that you can afford and that will make your golfers happy. Fortunately, with our “Tournament Request Tool”, you can instantly put your tournament criteria in front of all the best golf courses in your area! You’ll receive proposals from golf tournament sales representatives. Then you can easily – and quickly – schedule your outing! Utilize our site to learn more about golf outing ideas, tournament software solutions, golf course marketing, and our golf tournament planning checklists and informative guides! We hope to see you out on the greens soon. To get started, submit your outing request!